No. This entry is not about flatulence. As I continue to introduce you to the team, it sometimes makes sense to clump people together by the job they do. Sometimes it has more to do with who I've actually interviewed so far. 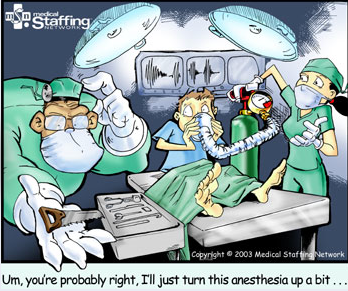 In any event, today I'm featuring our anesthesia team. We (usually) can't do surgery without anesthesia and, since we ARE a forward surgical team, we would be relatively crippled without these two "gas passers", as we affectionately refer to them. LCDR Wade Vincent is our anesthesiologist coming jet fresh from the island of Oahu where he practices at Tripler Army Medical Center. Funny thing about Dr. Vincent; when we were at NMPS on the first official day of this deployment, a somewhat familiar looking guy approached me and knew my name. Obviously it was Wade, and he recognized me as having been a year or so ahead of him it Utah and then again at USUHS. Small Navy! Anyway, Wade runs the anesthesia for the team and is also my partner in crime when it comes to the (not so) urban farming operation we're trying to get off the ground here as we long for good veggies. So without further ado... LCDR Vincent! Nine kids! Adam 24, Aimee 22, Aaron 20, Aubree 16, Allee 10, Abbee 8, Aiden 6, Austin 4, Avaree 2. It’s a lot of fun! Never a dull moment… and if there is, it means they’re into something! Almost 25 years. I was prior enlisted as a DS – Data Systems technician. I like the fresh fruit. Especially the pineapple! Closest to Hawaiian that I’ve ever had! No. It’s funny… we don’t go out to restaurants very often but some of the places I’ve been with you guys opens my eyes to why people really “like to eat”! Avatar. In 3D The 3D blew me away! I think I saw it 3 times in 3D. Oh gosh…. Ummmm.. I like Jacob. Edward's a little too yuppie for me. I like the Indians but don’t care for yuppies too much. I would say Mac but I’m too cheap to own one. You could say that I have Mac envy. Born and raised in Provo... DUH! It’s either the grow-light or this small bullet blender my wife sent. I get enjoyment out of both every day! I appreciate all the support. It means a lot. None of us do this job for the money but we believe in what we do and when people back home share their appreciation for what we do it means the world to me. 20 years. Started as a corpsman for 11 years, then got out, got my degree and came back. Two. My favorite is the dragon on my left shoulder. I got it free for helping save the guy's life who owned the tattoo parlor. He coded on the cardiac cath table. Everything’s edible when the menu’s on a weekly rotation. Anything with curry. Not a big fan of curry. I don't really have one. I enjoy all movies. I’m gonna say I’m uh… Team Jacob. Ask my wife. Anything from my wife. She and my son sent easter cards. Hello to my family and friends. All is well. Five more months to go. Love to my wife and kids.